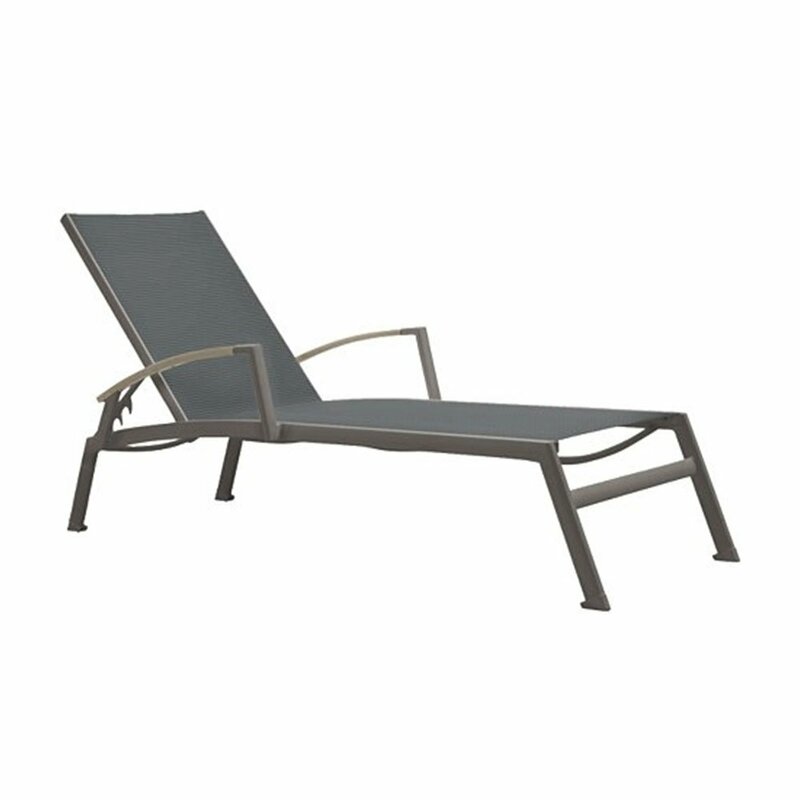 Sono Sling Chaise Lounge with Powder-Coated Aluminum Frame by Tropitone - 22 lbs. Our Sono Sling Chaise Lounge with Powder-Coated Aluminum Frame by Tropitone is a great choice for those looking for a minimal yet comfortable lounge. Utilizing high-quality sling made out of extra- comfortable Serge Ferrari Batyline Fabrics and a durable powder-coated aluminum frame, this chaise should please you and your patrons for many years to come. 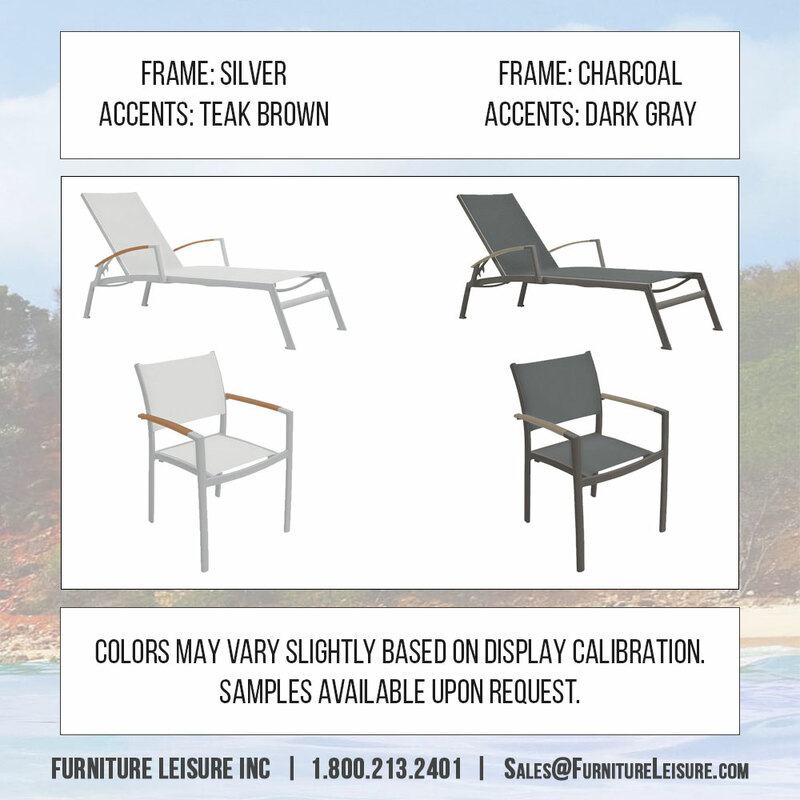 Add a touch of modern style to your locations setting as this Sono chaise lounge comes in 2 separate designer color schemes: a silver frame with brown teak arm accents and a charcoal frame with dark gray arm accents. This includes a 5-year limited warranty and is made in the USA.